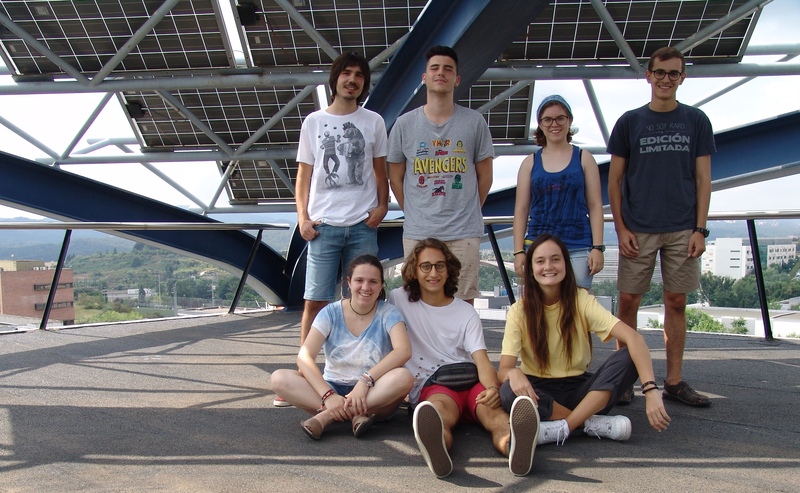 This year the ICMAB hosted seven (7) students from the program "Joves i Ciència" from Fundació Catalunya La Pedrera: Roger, Pilar, Antoni, Pere, Mariona, Anastasia and Arnau. They came to our Institute to do some research stays with some of our researchers, in the fields of spintronics, solar cells, superconducting materials, porous materials for energy, sustainable chemistry and crystallography. Some of them could go inside the clean room, some did some experiments in different laboratories, some did measurements with our XRD or TEM instruments, and even some could go to ALBA synchrotron. All of them enjoyed their stay here and are happy to have come! Thank you to Fundació Catalunya La Pedrera for this opportunity, for them, and for us!